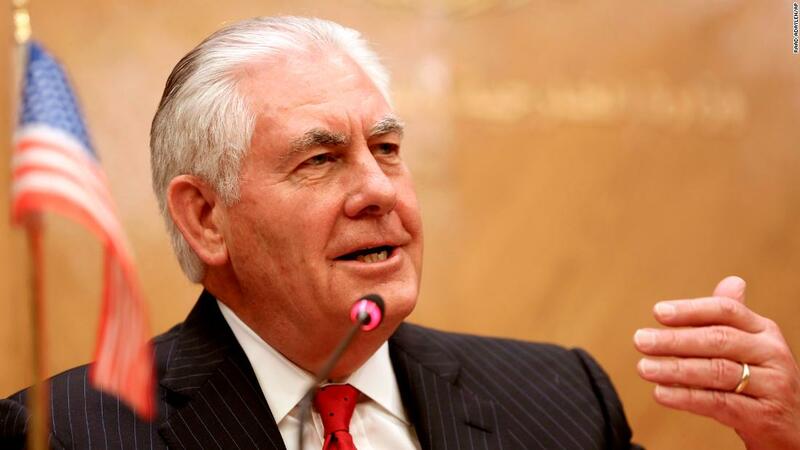 The U.S. Secretary of State Rex Tillerson did not bring any translators, aides or note-takers to his three-and-a-half hour meeting with the Turkish President Recep Tayyip Erdoğan, U.S. news channel CNN said. Thursday’s meeting between the top U.S. diplomat and the Turkish president aimed at easing escalating tension between the NATO allies over northern Syria took an unusual turn when Tillerson met with the Turkish president without a translator, CNN said. The meeting strayed from official protocol, according to former State Department officials, and was translated by the Turkish Foreign Minister Mevlüt Çavuşoğlu. An unnamed State Department official was quoted by CNN saying Tillerson has "met before with President Erdoğan, and he's okay with the foreign minister doing the translation. They have a good, strong working relationship." "If the meeting is not conducted in English, it is foolhardy in the extreme not to have at his side a State Department translator, who can ensure that Mr. Tillerson's points are delivered accurately and with the proper emphasis," said John Kirby, CNN's diplomatic and military analyst. Erdoğan speaks no other languages apart from Turkish, while Çavuşoğlu speaks stilted, heavily accented English. Tillerson’s was in Ankara to ease the tension between allied countries. Turkish officials have openly criticized the U.S. military's cooperation with YPG, a Syrian Kurdish militia Turkey considers a branch of the Kurdistan Workers Party (PKK) that is fighting inside Turkey. The U.S.-led coalition’s plans to set up a new border force of 30,000 personnel is another contentious issue between countries. Erdoğan has accused the United States of "building an army of terror" on the Turkish border and, threatened to "drown" U.S.-backed forces. Secretary of State Rex Tillerson met for more than three and a half hours of tough discussions with Turkish leaders in an attempt to ease increasing tensions with a key NATO ally -- but without a translator or policy aides.